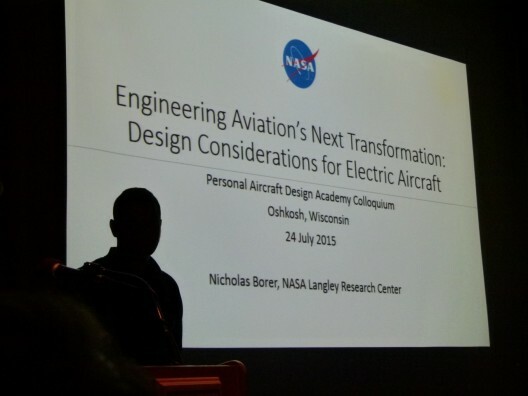 At the Experimental Aircraft Association’s AirVenture, a week of grand aviation events comes to a close with the annual Personal Aircraft Design Academy meeting. Each year, an individual or group who has contributed significantly to the progress of personal aviation receives a trophy in recognition of that contribution. 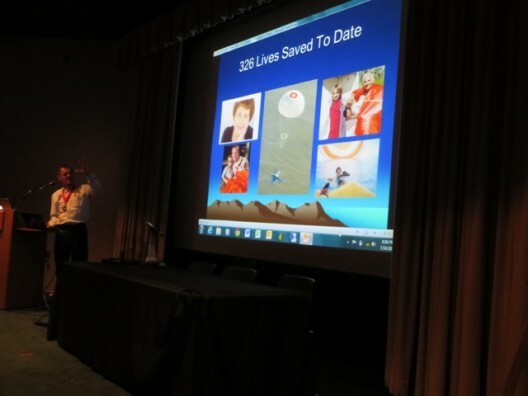 Your editor could not be there this year, but CAFE President Brien Seeley officiated and shares this report. “The Personal Aircraft Design Academy (PADA) convened its 13th annual meeting on July 24 at 7:30 p. m. in the EAA Vette Theatre. After nominations and voting by members of the PADA Board, the group presented the perpetual PADA Trophy to Boris Popov for his career-long achievements in bringing forth ballistic recovery systems for aircraft. Boris was also awarded the PADA medal as he accepted the trophy and proceeded to deliver an inspiring speech about the history and successes of vehicle parachute systems. He recounted that 326 lives have been saved by the BRS system thus far, and that each of those people are now ‘like family’ to him. “The scientific presentations at PADA 2015 were by Nick Borer of NASA and by Burt Rutan, the founder of Scaled Composites. Mr. Borer’s 90 minute presentation covered a wide range of NASA research efforts on the topic of distributed electric propulsion and the scaling-up of small electric aircraft technologies for use on “thin-haul” 8-10 seat air charter service and 100-seat regional commuter airliners.” Borer is hard at work on distributed electric propulsion as on the LEAPTech project. 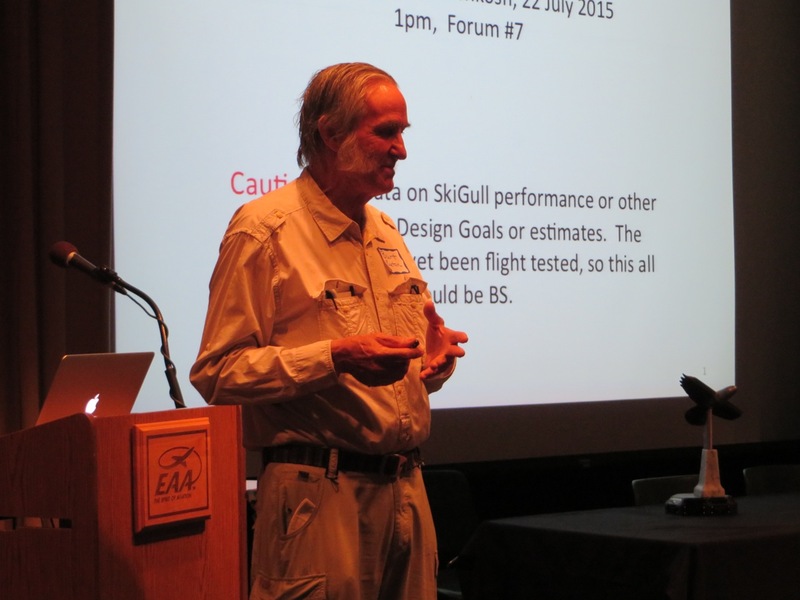 Dr. Seeley reports,“Burt Rutan spoke about the SkiGull, a high aspect ratio amphibious aircraft with a novel new type of landing gear consisting of flexible, durable skis.” AOPA Pilot reporter Dave Hirschman attended Burt’s public forum and told of the craft’s trimaran hulls, strut-braced 47-foot wings, and “T”-tail, giving it a sailplane-like appearance. Reduction of metal fittings will help prevent corrosion. A 44-percent span Fowler flap will probably contribute to its ability to break water in 12 seconds after a run of only 460 feet. A single Rotax engine in the center of the pylon-mounted wing will power the airplane and two electric motors with reversible propellers will boost takeoff performance as desired and aid in docking the airplane. The Rotax’s ability to perform on auto gas will make trips anywhere but to airports practical. Rutan told of the possibility of flying from California to Hawaii on a single tank of fuel. 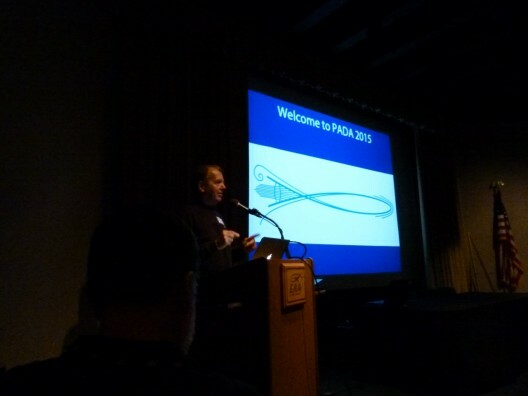 Dr. Seeley closes, “The PADA presentations were preceded by a well-attended special hors d’oeuvre reception for enthusiasts who had pre-paid to meet and greet the assembled leaders of the personal aircraft design community.” Having attended one of these singular events, your editor highly recommends our planning to be there next year.